With American’s latest AAdvantage program changes in effect as of today, you may be struggling to keep track of the various ways this impacts your award travel strategy. Below, TPG Points & Miles Editor Sarah Silbert walks you through the various updates to the award charts — some good, some not so good. 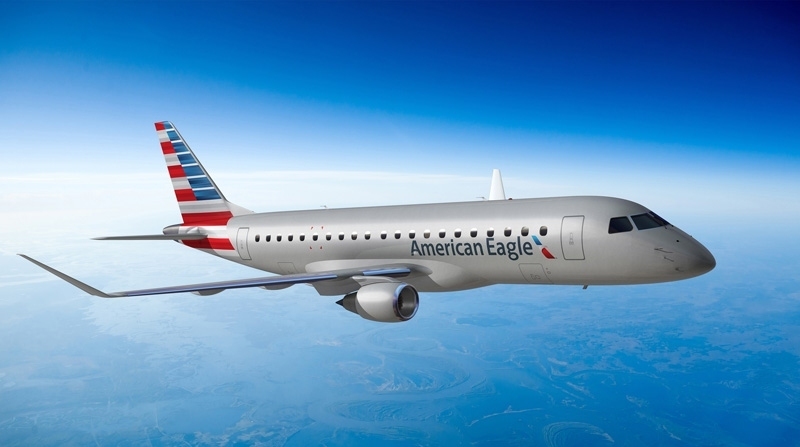 Today’s the day many AAdvantage members have marked on their calendars: American’s award chart changes are now in effect. While the updated AAdvantage program for 2016 is in many ways a devaluation, the changes aren’t all awful, and some awards are even getting cheaper. It’s a lot to keep track of, though, so continue reading for a rundown of the main updates to make sure you’re maximizing your travel on American and and its Oneworld partners going forward. Short-haul domestic flights now cost just 7,500 miles. American added a new category of awards that actually makes short-haul domestic US travel a better deal. Nonstop flights under 500 miles now cost just 7,500 one-way — 5,000 less than they previously would under the MileSAAver rate for flights within the US. This is on par with BA’s new rates for short-haul US awards, and it will be especially useful for AAdvantage flyers based in a hub city like Charlotte, Chicago, Dallas and New York. With the devaluation come various changes to off-peak award options, including the elimination of almost all off-peak awards on AA partners. The only option left is Europe for 22,500 one-way in economy. Hopefully you booked partner awards to Asia Region 1, Hawaii or South America Region 1 prior to today, since the lack of off-peak rates means these redemptions now cost as much as 10,000 miles more. As for off-peak awards on American’s own metal, they’re no longer available for South America Region 2 (20,000 old off-peak vs. 30,000 MileSAAver), and they’re now more expensive for flights from the US to Europe (20,000 to 22,500), Hawaii (17,500 to 20,000), Japan and Korea (25,000 to 32,500) and South America Region 1 (15,000 to 17,500). Also note the changes to off-peak dates listed in the chart above. Things get especially complicated with Hawaii, Japan, Korea, China and Hong Kong, as there are no longer blocks of time for off-peak travel, but rather different sets of off-peak dates for departing and returning. Economy travelers aren’t hit as hard as those who prefer to redeem their miles for flights in a premium cabin. First- and business-class redemptions have increased pretty much across the board, with rate changes for awards to Asia Region 2 and the South Pacific being especially drastic. Fly from the US to the Caribbean for 15,000 miles each way in economy, a decrease from the previous rate of 17,500 miles. Again, it’s not all bad news. Especially for economy travelers, many awards are now cheaper than before, including the US to the Caribbean, Central America and the Middle East/India. Select business-class routes — including the US to the Caribbean and Mexico, and awards within South America 1 — are now cheaper as well. For more information, see TPG Contributor Eric Rosen’s post, 26 American Airlines Awards Going Down in Price March 22. You can still change the dates and routing for previously booked awards without needing to pay a mileage difference. You may be wondering if you can make changes to awards booked before today without needing to pay the difference in miles (if the award in question has gone up in price), and the answer is fortunately yes. You can change the date, time and routing on awards booked prior to March 22 without needing to fork over additional miles, but note that you’ll need to keep the same origin and destination and your new dates will need to be within a year of when you originally booked the ticket. Ahead of today’s valuation, this was a great way for AAdvantage members to lock in the lower redemption rates even if they weren’t sure of their travel dates. Now that the devaluation is in effect, it’s still a great fallback if you need to make any date or routing changes. Also note that you may even be able to make more significant tweaks — including to the origin and/or destination (within the same regions) — at no extra charge if American makes any significant changes (such as a new departure time) to your flight schedule. A sample calculation for earning redeemable miles under American’s upcoming revenue-based system. Until later this year — American has yet to share a concrete date — the airline is still awarding AAdvantage miles based on distance flown. Once the switch is made, however, you’ll earn miles based on the fare you pay, in addition to your elite status, bringing the program in line with how both Delta and United award miles. Once the change goes into effect, premium-cabin and high-fare economy travelers will stand to earn more while budget travelers and economy-class mileage runners are going to lose a way to generate a ton of redeemable miles. Note that elite-qualifying miles will still be awarded based on distance. This means now’s a better time than ever to book some affordable long-haul flights to earn AAdvantage miles. For instance, TPG Contributor JT Genter booked a $547 round-trip to Kuala Lumpur that will earn him 20,470 EQMs plus a ton of redeemable miles — more than 40% of the way toward Platinum status. While many awards — especially those in premium cabins — are more expensive as of today, the AAdvantage program changes aren’t all hard to swallow. You can now book short-hauls in the US for just 7,500 miles each way, and dozen of redemptions have decreased in price. Though it will become harder to earn redeemable miles (without paying a ton for a high fare) later this year, there’s still time to book a mileage run or a spring getaway and rack up the rewards. What are your biggest pros and cons about the new AAdvantage program?